The Infinite Scroll shortcut transforms a traditional “Next Page” navigation into an AJAX-powered infinite scrolling user interface pattern. Infinite scroll is used to autopagerize and unpaginated endless pages, but essentially it is pre-fetching content from the following page and adding it directly to the user’s current page. This effect is usually added to websites because it makes improves the whole user experience, the “Next Page” usability barrier being removed. When the full content is too large to show on initial load, infinite scrolling comes in handy. This is used more often on search results, blog posts, product listings, and portfolios. So, do you think an infinite scrolling WordPress theme is the best choice for you? We selected below some great WordPress themes which take advantage of the wonderful features of infinite scrolling. These are great for blogs, magazines, and portfolios. You’ll also find some classics on this list, like the Twenty themes, which are free, fully responsive themes that look great on any device. Choose your favorite theme and launch your new website today! Some of this infinite scroll magazine theme’s features are the Row Builder, the AJAX category + Any Home, the infinite pagination on categories and infinite AJAX single and many others. This theme contains 3 different singles, 4 different post format, 3 different image shortcodes, 5 custom widgets, custom slider option, an AJAX menu and a dark and light color scheme. Infinite scrolling also has numerous advantages, such as retaining the users on the site for a longer time, maintaining the user’s typical reading habits, enhancing an existing navigational structure and being SEO-friendly and accessible. See this theme as an example! Revelar is a single column blogging theme which was specially designed to tell your stories along with gorgeous photography. Publication is another great infinite scrolling WordPress theme showcased in this list. It is more content-oriented and has a fullscreen post slider on the homepage. The typography used is also beautiful and very easy to read. This elegant blog and magazine theme features full-screen featured images and is just perfect for sites about fashion, food, travel, or design. With balanced typography, colors, and attention to detail, this theme will help you create visually stunning posts. This portfolio theme was nicely crafted for designers and photographers. It has a minimalist design which uses a modular grid layout for showcasing photography. This theme is simple and elegant. It is the perfect theme for an event planning website. This theme uses slideshows, featured images, and a unique layout to highlight your content. This theme is colorful and comes with a friendly vibe. This theme is a Pinterest-like theme site template which looks awesome! Keep in mind whenever you’re using infinite scrolling that if it’s not integrated properly into a WordPress theme it can also make the footer of a page almost impossible to reach, increases the memory footprint of the browser and may have some interferences with your analytics so you’ll have to do some custom configuration. This theme is not the case, but you should consider this when designing a website. Pique cafe is a really nice template. It was designed to help you build a one-page scrolling website in no-time. This example is perfect for cafe, bakeries, hair salon and shop websites. Twenty Ten is a stylish and highly customizable theme. All you have to do is add a menu, a header image or a background image and you can start working on your posts. Canapé was specially designed for restaurants and other food businesses. This example has a really elegant design and will showcase your menu nicely. This is a fully-responsive theme which means it’ll look great on any device and browser. This example is ideal for promoting your company or your business. Twenty Twelve is a fully-responsive WordPress theme that features a front page with its own widgets, optional display font, post styling formats and an optional no-sidebar page template. This theme was specially designed for bloggers. The interface is very user-friendly and the layout looks great. It displays words and images in perfect balance: a post’s featured image and text excerpt get equal billing on the main blog page, while single posts and pages size and position images dynamically, depending on the screen size. In this version, the featured images will make your site look even better. This WordPress theme is most suitable for blogs, and it will look especially good as a personal blog. This theme is elegant, lightweight and can adapt on every kind of website. You can add a custom menu, a header image and background and why stop there? try out custom colors and its 3 layout choices. This is a classic blog parallax theme with a minimal and elegant design. This theme is perfect for photographers or anyone else who wants to share their creations in a creative and unique way. This theme is flexible and versatile and might be exactly what you have been searching for. It also has a responsive design and, thanks to its design layout, it’ll show your content in an unconventional way. This theme was also designed for bloggers. This theme can be fully customised thanks to its amazing features. Attache is perfect for storytellers and their websites. This theme has its inspiration from Pinterest and uses unique layouts for supported post formats. This is a responsive adventure blog magazine theme and it is suited for all kinds of activities. This theme contains many great features which will definitely come in handy – drag and drop page builder, masonry layout with infinite scrolling, support for bbPress, BuddyPress etc. This theme has a clean design and a responsive laoyut. This is perfect for a personal blog or a magazine website. This theme includes many nice features such as the Drag and Drop page builder and its support for WooCommerce. This theme is a minimalist and creative WordPress theme for artists and their websites. It is an infinite scroll website theme which contains 6 custom skins, multiple unique templates, 3 different portfolio custom post types and much more. This premium WordPress theme is elegant and fully-responsive and will definitely save you a great deal of time. 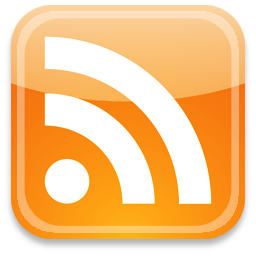 This theme uses the drag and drop content builder and has many nice features. With this theme, you’ll be able to show off your work easily. This theme is fully-customizable and if you’ll decide to use it, you’ll also get a detailed help file. Wildfire is yet another cool infinite scroll theme. This one is perfect for individuals who are looking for a really nice way to showcase their work. 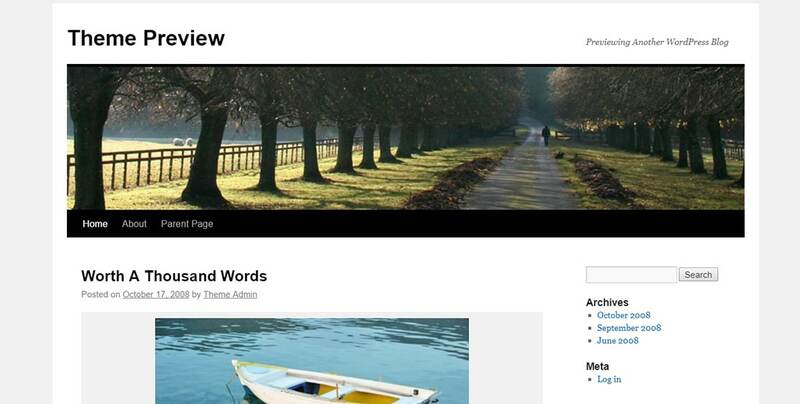 This blog and magazine theme greets visitors with a full-screen featured image. This theme is perfect for all sorts of industries, for example, fashion, food, design, and travel. Garnet is a lightweight portfolio WordPress theme that uses a modular grid layout. This theme is perfect for artists, designers, photographers and anyone else who is working in the creative industry.